The petitioners have relied on a report dated 02.01.2011 titled “Executive Summary on National Survey on Milk Adulteration, 2011” released by Foods Safety and Standards Authority of India (FSSAI) which concluded that on a national level, 68.4 per cent of milk being sold is adulterated and it is alleged that the worst performers in the survey were Bihar, Chhattisgarh, Odisha, West Bengal, Mizoram, Jharkhand and Daman and Diu, where adulteration in milk was found up to 100%. In the States of Uttarakhand and Uttar Pradesh 88% of milk samples were found adulterated. According to the petitioners, milk is the only source of nourishment for infants and a major part of the diet for growing children in tender age and if no effective measure is taken to ensure the purity of milk, health of the children will be adversely affected. The petitioners pleaded inaction and apathy on the part of the Government to take appropriate measure to rule out sale and circulation of synthetic milk and milk products across the country which according to the petitioners has resulted in violation of fundamental rights of the petitioners and public at large guaranteed under Article 21 of the Constitution of India. The petitioners, therefore, have approached the Court for a writ of mandamus directing Union of India and the concerned State Governments to take immediate effective and serious steps to rule out the sale and circulation of synthetic/adulterated milk and the milk products like ghee, mawa, cheese, etc. On behalf of Union of India, it was submitted that a fair mechanism for dealing with food safety and standards and for checking adulteration is in place. The Parliament has enacted Food Safety and Standards Act, 2006 and Regulations, 2011 which are effective in taking care of the food safety and standards. In the interim order dated 05.12.2013,the Court has expressed concern on adulteration of milk and milk products by unabated use of synthetic and harmful materials sold in the market. The consumption of adulterated milk and milk products is hazardous to human health and the state of affairs is alarming. Taking note of the seriousness of the matter vide order dated 30.01.2014, Court directed Union of India and the States to file affidavits indicating the steps taken for curbing the adulteration of milk and indicating the number of cases identified where milk was adulterated with hazardous chemicals and details of prosecution launched and the result thereof. In compliance of those orders, all the States have filed their responses indicating the inspection done, number of prosecutions launched and status of those cases. Considering the seriousness of the offence and referring to the amendment to Section 272 Indian Penal Code made by States of Uttar Pradesh, West Bengal and Odisha, wherein the punishment for adulteration of food and products is enhanced to imprisonment for life and also fine. By order dated 05.12.2013, Court observed that “similar amendments are to be made in other states as well.” The same direction was reiterated by Court vide order dated 30.01.2014 and also directed Union of India to consider bringing in suitable amendments to FSS Act. When the matter came up for hearing on 10.12.2014, Union of India submitted that the bill seeking to amend FSS Act by inserting a new section ‘Section 7A’ was withdrawn and the Parliamentary Standing Committee on Health and Family Welfare recommended that the Government of India may re-look into all the aspects of the matter and come up with a comprehensive Bill at the earliest. The Bench has observed that since in India traditionally infants/children are fed milk, adulteration of milk and its products is a concern and stringent measures need to be taken to combat it. 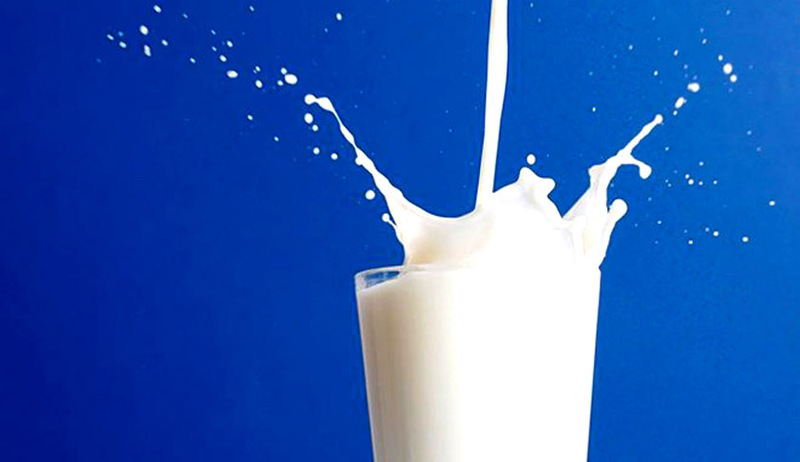 The consumption of adulterated milk and adulterated milk products is hazardous to human health. As directed by Court by order dated 10.12.2014, it will be in order that the Union of India come up with suitable amendments in the Food Safety and Standards Act, 2006 and the Union of India shall also make penal provisions at par with the provisions contained in the State amendments as indicated above. “As observed by this Court in the orders dated 05.12.2013 and 10.12.2014, it will be in order, if the Union of India considers making suitable amendments in the penal provisions at par with the provisions contained in the State amendments to the Indian Penal Code. It is also desirable that Union of India revisits the Food Safety and Standards Act, 2006 to revise the punishment for adulteration making it more deterrent in cases where the adulterant can have an adverse impact on health”. The Bench added. i. Union of India and the State Governments shall take appropriate steps to implement Food Safety and Standards Act, 2006 in a more effective manner. ii. States shall take appropriate steps to inform owners of dairy, dairy operators and retailers working in the State that if chemical adulterants like pesticides, caustic soda and other chemicals are found in the milk, then stringent action will be taken on the State Dairy Operators or retailers or all the persons involved in the same. iii. State Food Safety Authority should also identify high risk areas (where there is greater presence of petty food manufacturer/business operator etc.) and times (near festivals etc.) when there is risk of ingesting adulterated milk or milk products due to environmental and other factors and greater number of food samples should be taken from those areas. iv. State Food Safety Authorities should also ensure that there is adequate lab testing infrastructure and ensure that all labs have/obtain NABL accreditation to facilitate precise testing. State Government to ensure that State food testing laboratories/district food laboratories are well-equipped with the technical persons and testing facilities. v. Special measures should be undertaken by the State Food Safety Authorities (SFSA) and District Authorities for sampling of milk and milk products, including spot testing through Mobile Food Testing Vans equipped with primary testing kits for conducting qualitative test of adulteration in food. vi. Since the snap short survey conducted in 2011 revealed adulteration of milk by hazardous substances including chemicals, such snap short surveys to be conducted periodically both in the State as well as at the national level by FSSAI. vii. For curbing milk adulteration, an appropriate State level Committee headed by the Chief Secretary or the Secretary of Dairy Department and District level Committee headed by the concerned District Collector shall be constituted as is done in the State of Maharashtra to take the review of the work done to curb the milk adulteration in the district and in the State by the authorities. viii. To prevent adulteration of milk, the concerned State Department shall set up a website thereby specifying the functioning and responsibilities of food safety authorities and also creating awareness about complaint mechanisms. In the website, the contact details of the Joint Commissioners including the Food Safety Commissioners shall be made available for registering the complaints on the said website. All States should also have and maintain toll free telephonic and online complaint mechanism. x. Union of India/State Governments to evolve a complaint mechanism for checking corruption and other unethical practices of the Food Authorities and their officers.